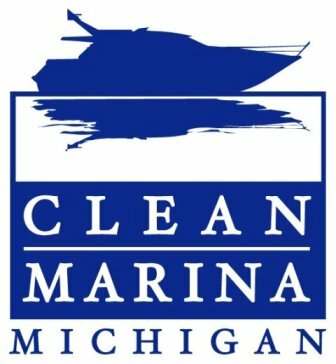 Our knowledgeable and helpful staff members welcome you to our 213-slip marina and boat launch located on East Grand Traverse Bay. We are nestled between 2 pristine sandy beaches in the quaint port-side village of Elk Rapids, MI. We also offer slips in Elk Lake and a boat launch for you to explore and enjoy the Antrim County Chain of Lakes. Enjoy our well maintained, enhanced, and unique Harbor amenities. The downtown district of Elk Rapids is just a few steps away. Enjoy fine and casual dining, extensive shopping, antique shops, art galleries, community events, farmers markets, festivals and outstanding recreational opportunities. Staff invites you to make Elk Rapids your port of call. Seasonal Dockage is currently operating from waiting lists. Waiting list applications are available at Village Office, Harbor Office and for Download – Wait List App. We offer 5 separate waiting lists. When a slip becomes available, staff will call the first person on the relevant waiting list. See Waiting List Rules for details. Transient Dockage is available May to October. Reservations may be made beginning at 8 AM on May 15 each year via www.mimarinas.info, phone, or in person at the Harbor Office. There is a 14-day stay limit during peak season (waived if there are open slips). Check-out is 12 PM. Approximately 50 slips of various lengths are designated for Transient use. Elk Rapids is a State of Michigan sponsored Harbor of Refuge, staff will not turn you away in emergency situations. Shopping Dockage is available for short-term docking. Hail the Harbor on channel 73 for availability. Staff will assign the best slip available so you can enjoy shopping, dining, or any of the amenities of Elk Rapids. The Fuel Dock features Premium Diesel Fuel w/ Valvtect & Ethanol Free Premium Gasoline w/Valvtect. Tanks are tested annually and are proven free of excess water and biological contamination. Pump-out facilities are also available on the fuel dock. Block & cube ice available (Just hail us on CH. 73 & staff will deliver).